The Native American gaming industry began in the 1970s in Florida and today accounts for 43% of all casinos gaming revenue in the United States. The 493 Native American gaming operations operate across 28 states and generate annual revenues nearing $30 billion. Here are some interesting facts. The birth of Native American gambling began when the Seminole tribe ignored local Florida laws and ran a high stakes bingo operation. Even though the state tried to halt operations as the gaming operation, it became an instant tourist destination. The authorities took the tribe to court and in 1979 and the Supreme Court ruled in the defendants’ favor, as the state did not have the right to tax reservation occupants or regulate their activities. Today, many Native American tribal lands are venues for casinos in states where casinos are not usually allowed. Following a ruling in 1987, the Supreme Court ruled that if gambling was legal in the state then it had no right to regulate gambling activities. 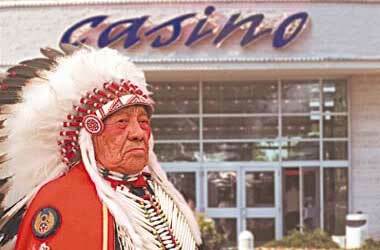 This resulted in the Indian Gaming Regulatory Act of 1988 that recognized the ability of the tribe to run casinos as per a contract negotiated between the state and tribe and approved by the U.S. Department of Interior. The Native Americans and casinos generating their money on tribal lands are not required to pay state income tax. The federal governement does, however still taxes individuals. The industry pays $9billion in taxes and revenue sharing payements to federal, state and local government. One of the biggest perks is that the tribe is able to place their land in a trust, thereby exempting itself from property tax. Native American gaming is a massive business that generates more income than Atlantic City and Las Vegas combined. The industry generates close to $30 billion and has shown steady growth. Currently the smaller gaming operations make 60% of the market and they make less than $25 million each. They are known to support rural and economic development within their area. 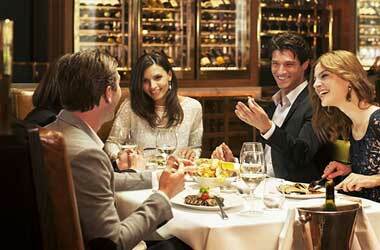 There are many benefits to having the casinos on the reservations. Employment on the reservations has increased 26 percent and the population has increased by 11.5%. 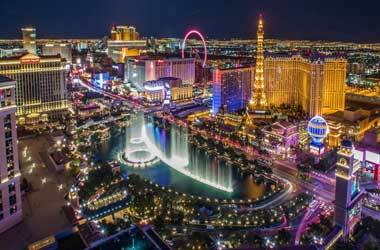 Benefits have not only been for the Native Americans on the reservations as the vast majority of those working in the casinos are not of Native Americans descent. 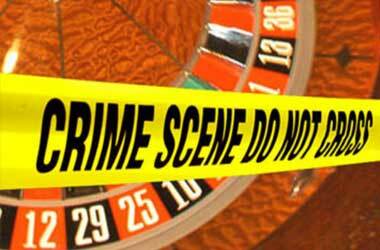 According to a study conducted by the University of Maryland in 2012, statistics show that when a casino opens there is an increase in suicide, violent crime, substance abuse, theft and bankruptcy. According to similar studies, crime actually rises in the area and results in an increase of crime worth $70 per person annually. 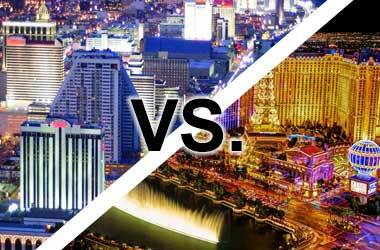 Debt, shown by national data, increases alongside casinos. Almost 50% of a casino’s revenue is due to the “pathologocal gamblers”, which are those more likely to develop a gambling problem or addiction. Although there are over 550 Native American tribes in America, only one third have casino licenses. Today, there are around 150 tribes still awaiting approval of their licenses. However, many of the more established tribes claim that some of the smaller tribes have no real claim and are leaning on their past just to take advantage of the laws. In one case, the Pequot Tribe re-formed in the 1980s after its last remaining member passed away on tribal lands. This resulted in her grandchildren moving back to the land to lay claim to the land – now the site of Foxwoods Casino. When reports emerged that the Najavo’s Fire Rock Casino was using an archaelogical site as a landfill, many traditional leaders of the tribe were justifiably upset. However, even with stories of traces of uranium being found in the soil, the leaders nevertheless voted in favour of the construction. The casino eventually opened in 2008, yet reports of skinwalkers (witches) were rife on opening day. Rumours were squashed after the CEO, Robert Winter, assuaged visitors that the elders had blessed the land and there was nothing to fear. California has 72 gaming facilities belonging to 63 of the 109 federally recognised tribes in the state. Thus, it is no surprise that they control 25% of all Native American gaming revenues and brought in over $7.3 billion in 2014 out of the $28.9 billion across all 28 states. The Mashantucket Pequot Tribe’s casinos in Connecticut is one of the biggest operations on the globe. 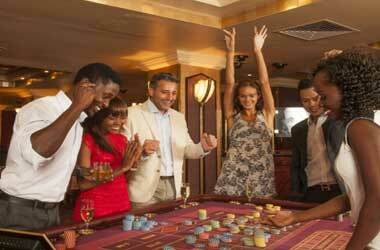 Covering alnomst 5m square feet, the casino boasts over 6,000 slots games and around 400 table games. It even has the biggest bingo hall in the world. As part of the deal, the Foxwood’s Resort pays a quarter of its slots revenue to the state.